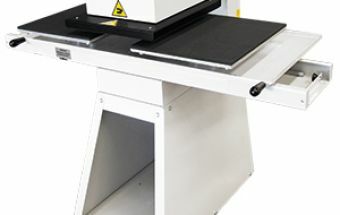 The PTA 700- AUTOMATIC HEAT PRESS is a fully automatic and easy to handle printing machine. This heat press has two trays that allow for dressing the workpiece and apply prints in an area up to 400 x 500mm. While one piece is being pressed, the operator can prepare the next one, thus yielding a higher production speed.